Sorry if this is short, but I’ve spent the past week watching all 65 episodes of Jem, so that I could properly “enjoy” the 2015 live-action adaptation. Short version: The movie is awful. Long version: Fans of the series are going to be incredibly disappointed because huge things are taken out, and many things are gutted. They won’t like it. People who aren’t fans of the series are not going to like it either. It tries to graft elements of a show that would require quite a lot of money to do with special effects as well as more shooting time. The movie is very low budget. As a result, those things will only confuse this audience. It also causes the movie to make huge leaps, plot and character-wise. It’s always nice when a character talks about a bunch of time that has passed when we just saw it a few minutes ago. The movie is for no one. On the series, Jerrica created the alternate identity of Jem because she was clever business-wise, and used the money to fund a home for foster girls. In the movie, Jerrica gets noticed on YouTube and becomes an overnight success that is taken advantage of, but ends up coming out on top. Funny enough, that kind of has to do with this music video. Back in 1984, a movie called Streets Of Fire was released. They wanted Hartman to do a song for it, so he gave them I Can Dream About You. They were going to have someone else sing it, and have a fictional group called The Sorels, lip-sync it in the movie. Hartman told them that they could do that so long as if they ever decided to release the song as a single or on the soundtrack, that they would use his voice. They did just that, and the song did very well. It helped make him an overnight success, even though he had been around since the early-70s. That brings us to the video. 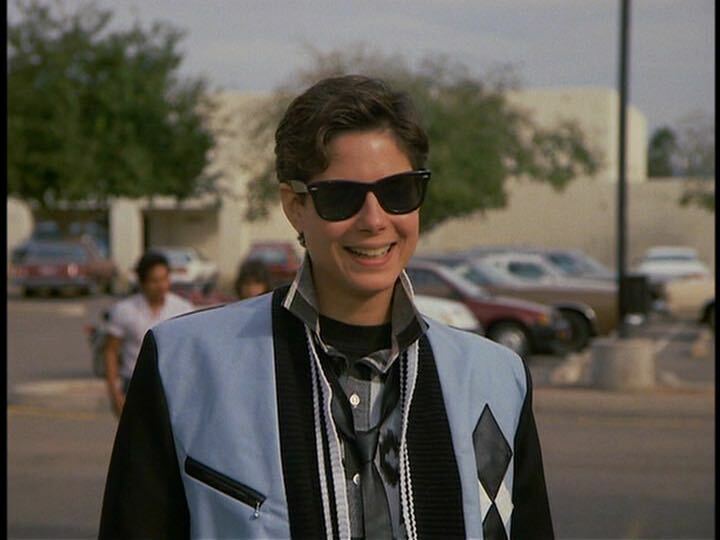 Our avatar into the video is a woman played by Joyce Hyser. You remember her, right? 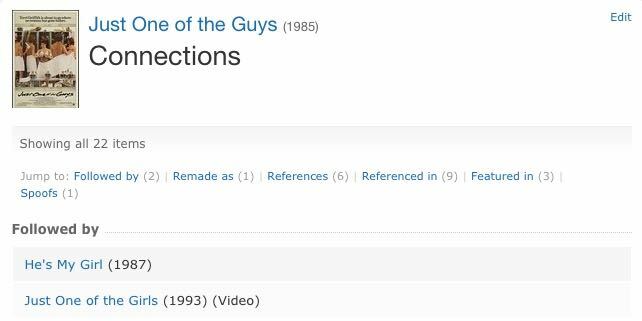 She played the lead in Just One Of The Guys (1985). You know, part one of the crossdressing trilogy. That isn’t a thing? Darn you, IMDb! You are usually so perfect. It was also refaked in 2006 as She’s The Man. A movie insultingly inferior to the original. She enters the bar and puts the the section of the film where The Sorels are sining the song on a jukebox. This sets us in the mindset of someone watching the movie. They think that The Sorels are really singing the song. Slowly but surely she begins to realize that while their performance is excellent, the song is actually coming from the nondescript bartender. In the end, we get a really clever bit. We keep cutting back to The Sorels, which reminds us why they were in the movie. Then Hartman gets up on the bar, and does a lame little dance that is nothing next to what the actors are doing that are playing The Sorels. It doesn’t matter though, because you are now seeing and hearing the person who wrote the song. Despite his performance abilities, they are his words, and are being sung with his voice. It’s a nice little condensed way of starting the audience with the performance from the film that they are familiar with, and slowly inching us over to the person behind The Sorels. They shot the video at the Hard Rock in London. Technically, the version performed in the movie was sung by a guy named Winston Ford. But you get the idea. If you want to hear the other version, then you can either watch the movie, or the other video that I swear doesn’t use Hartman’s voice. It’s close, but doesn’t sound like it matches up exactly. It is the one that uses the performance from the film, with some other footage from the movie cut into it. Only ten years after this, Hartman died of an AIDS-related brain tumor at the age of 43.